This quality home offers 4 bedrooms, 2.5 bathroom, a den, office, gym, formal dining room and state of the art chef kitchen. With its Eco-Block construction the home is extremely energy efficient and quiet. Offering a rustic modern motif with concrete floors, lodge pole stairway, beautiful cedar ceilings, concrete counter tops and artistic metal accents . 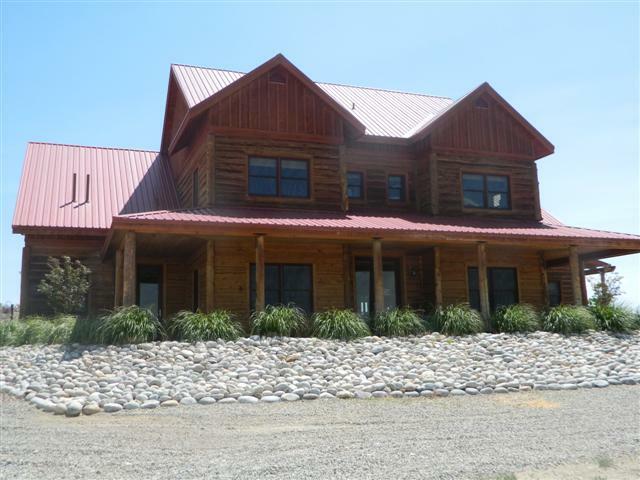 The home sits upon 1.99 acres. If you are looking for both function and personality this property is a must see!